Spire.Presentation is a powerful and easy-to-use .NET component, especially designed for developers. Using Spire.Presentation you can generate, modify, convert, render, and print documents without installing Microsoft PowerPoint on your machine. There is a document in our website introducing you how to insert table. 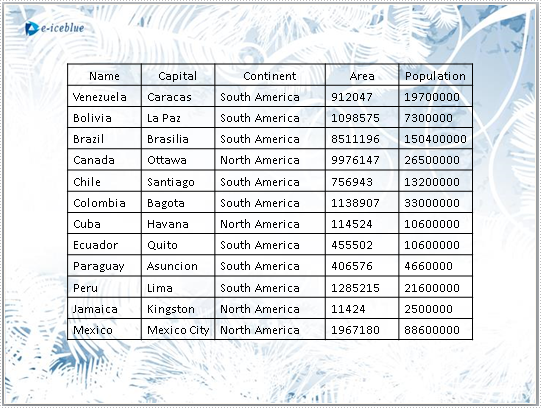 And in this document, you will be introduced how to edit a table within a PPT document. Step 1: Create a Presentation instance and load the file. Step 2: Store the data used in replacement in string . Step 3: Get the table within the PPT document. Step 4: Fill in the third row with new data and set the HighlightColor. Step 5: Set the style of the table. Step 6: Save the document. 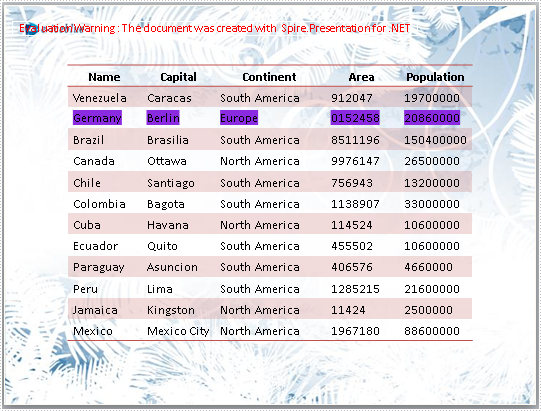 Download and install Spire.Presentation for .NET and refer to below code to edit table within PPT document. If you couldn't successfully use Spire.Presentation, please refer Spire.Presentation Quick Start which can guide you quickly use Spire.Presentation.